I would go there. If I could. I would go there if I could. The comma splice joins two independent clauses with a comma. Below is an example. I saw the itinerary, I want to join. In this sentence, a comma connects two independent clauses. To correct this, you can either put a period after the first independent clause or add a conjunction after the comma. I saw the itinerary. I want to join. I saw the itinerary, and I want to join. Another common mistake is adding apostrophes to plural nouns. Below are examples. The orange’s are really sweet. The kid’s will be performing in a musical. The apostrophes in these examples should be omitted. There you have it: three of the most common punctuation mistakes you should watch out for. Be mindful of sentence fragments, the comma splice, and apostrophes. 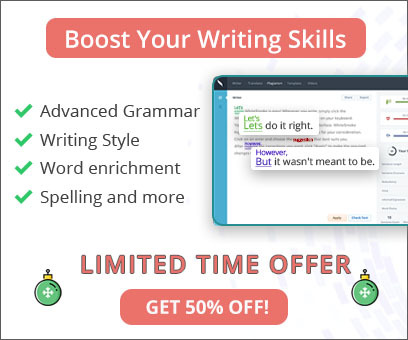 As previously mentioned, WhiteSmoke's grammar checker will also help clean up your punctuation errors, helping you spot things that you might otherwise miss. 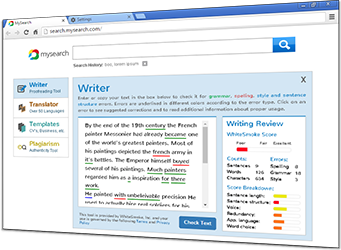 In any event, editing with your eyes or editing with WhiteSmoke Writer, correcting errors of punctuation is important for the quality of your text.